18 January 2019 (Toronto, ON) - One of the world’s biggest classical stars, Lang Lang, returns with his brand-new solo album Piano Book – a collection of pieces which first inspired him to play the piano and led him on his path to international stardom. The recording, his first new studio album in three years, marks his return to Universal Music Group and Deutsche Grammophon – the label he first signed to in 2003. The album will be released in multiple formats, among them a Limited Score Edition – a box containing the deluxe double album and full piano scores, including Für Elise, as annotated by Lang Lang himself. 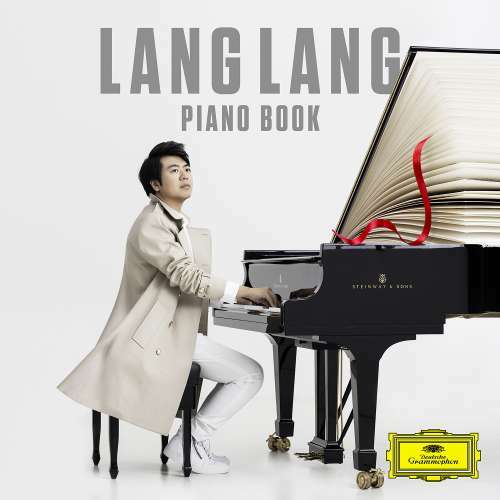 Lang Lang Piano Book is also available as a high-end hardback edition for piano, published by Faber Music. Piano Book gathers together many of the miniatures that generations of amateur pianists have grown up with. Lang Lang holds them in the highest regard, believing them to be classics in their own right. He wants to encourage piano students across the world to fully appreciate them. As well as works by the great composers – such as Beethoven’s Für Elise, Debussy’s Clair de lune and J.S. Bach’s Prelude in C Major from The Well-Tempered Clavier – Lang Lang has included some modern classics that are familiar from TV and movies like Yann Tiersen’s La valse d’Amélie, Max Richter’s The Departure and Ryuichi Sakamoto’s music for Merry Christmas, Mr Lawrence. These are pieces Lang Lang has encountered through his work with students all over the world and have become part of his favourite works for piano. Here, Lang Lang reflects on how he started playing the piano, what fired his imagination and how he might pass on what he’s learned to a new generation. His work with his own Lang Lang International Music Foundation (www.langlangfoundation.org), which was set up over 10 years ago and has raised millions of pounds to support young musicians, has given him a unique insight into music education. He has inspired 40 million children to learn the piano and has developed hugely successful educational programmes including Keys of Inspiration, 101 Pianists, Young Scholars and Play It Forward. His partnership with independent British music publisher Faber Music has resulted in the Lang Lang Piano Academy series of piano books to inspire the next generation of pianists. Lang Lang’s belief that “Music makes life better. It heals, unites and inspires, and it makes us better people” underpins everything he does with his Foundation. A globally celebrated piano virtuoso, Lang Lang has sold millions of albums around the world, topping classical charts and achieving simultaneous mainstream success. He was nominated in 2007 for a Grammy Award, becoming the first Chinese artist nominated for Best Instrumental Soloist, and he was named as one of the 100 most influential people in the world by TIME magazine. During the past decade Lang Lang has performed for music fans, world leaders, monarchs and dignitaries including President Barack Obama, Pope Francis and Queen Elizabeth II. He has given sold-out performances at concert halls around the globe, with all the world’s top orchestras and conductors. Lang Lang has reached televised audiences of billions, performing at the opening ceremony of the 2008 Beijing Olympics and the final of the 2014 FIFA World Cup in Rio de Janeiro. His performances at the Grammy’s with Metallica, Pharrell Williams and jazz legend Herbie Hancock were hailed by millions of viewers. The scale of Lang Lang’s musical achievements are mirrored by an unrelenting commitment to charitable causes, most notably through his Foundation. He was designated in 2013 as a Messenger of Peace by the Secretary General of the United Nations, focusing on global education. He has served as a UNICEF Global Goodwill Ambassador since 2006. Recorded at London’s Abbey Road studios and in Beijing, ‘Piano Book’ is Lang Lang’s very personal playlist for everyone who loves the piano. It’s also the fruits of an astonishing career that has taken him from child prodigy to virtuoso at the very top of his profession. Equally happy playing for billions of viewers at the Olympics or just for a few hundred children in the public schools, Lang Lang is a master of communicating through music and his new album is a testament to that.